The development of Star Conflict continues, so we want to bring to your attention an updated development plan. Please note that this text is informational, and only the major changes are reflected in it. In addition to the implementation of this plan, we constantly fix bugs, make various improvements, changes to combat and economic balance. We develop and critically assess new and existing game features. Please note that this text is informational and may be expanded or modified during development. Ellydium destroyer “Ze'Ta” for ranks 12-14. New special and active modules, weapons and modifiers. A new Special operation. Pilots will face an enemy of unprecedented power, and only teamwork can help defeat it. A new engineering ship of the Empire and a new rank 17 scout of the Federation. Balance game modes and equipment in the game. Further work on the improvement and the emergence of new types of weapons and active modules. Improve the quality of PvP and PvE game modes, based on the feedback and wishes of the players. A refresh for the mode “Open Space”. You will see special tasks in locations, changes in opponents and much more. New PvP modes and brawls. An update the “Sector Conquest” mode. Follow the news! Stay tuned! There is still a lot of interesting material ahead! We understand that the ability to communicate with developers, awareness of the progress and direction of the project's further development is very important for you. 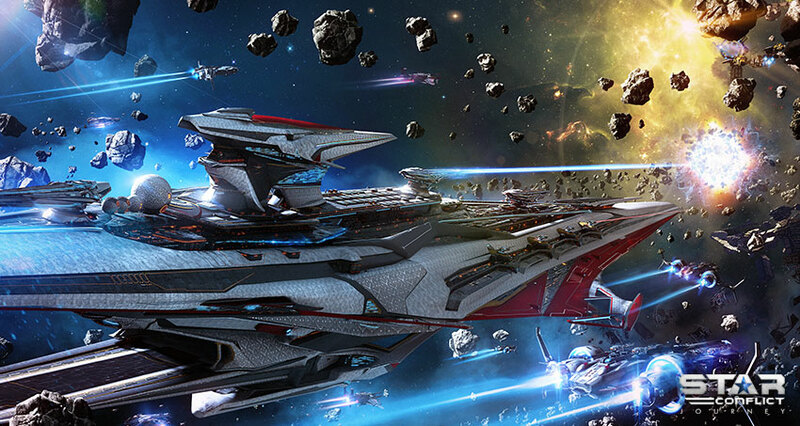 Therefore, we will talk in a timely manner about the progress of Star Conflict development in the “Developer Blog”! We will be happy to hear your thoughts in discussions on the forum.